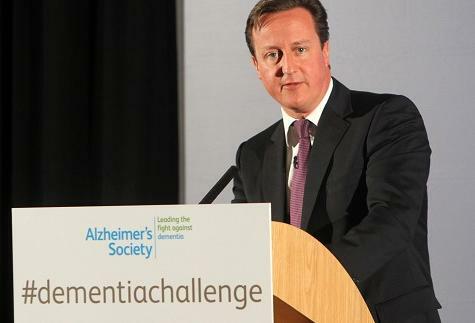 Yesterday, the Prime Minister launched the Government’s Challenge on Dementia – a new initiative to tackle one of Britain’s most serious health concerns. As Vice-Chair of the All Party Parliamentary Group on Dementia, I believe that our approach to dementia care in Britain is unsustainable, with the figure of 800,000 people who currently live in the UK projected to rise to 1 million within a decade and 1.7 million by 2051. Aside from the obvious human tragedy of the condition, which affects one in three people over the age of 65, there are serious financial consequences of dementia. Through increased healthcare costs and other expenses, the condition costs the economy £23bn, compared to £12bn for cancer and £8bn for heart disease which, per patient, means that a single dementia patient will cost the economy £27,000 – four times higher than a cancer patient and five times higher than someone with heart disease. Despite this, research into the condition receives significantly less funding than research into other diseases. The Government’s announcement that it will double dementia research funding to £66m by 2015 is therefore extremely welcome and represents not only a fantastic opportunity for greater research into the cause, cure, care and prevention of dementia, but a greater recognition from Government that this is an issue that must be addressed. The Prime Minister’s announcement yesterday was timely as APPG is investigating how to improve the rate of dementia diagnosis. The Group has heard from a range of people involved in the condition, including clinicians, social workers, those with the condition and those working to support them. The Government’s additional commitment to funding an additional £54m to help increase early diagnoses of the condition represents a fundamental appreciation of the importance that early identification of the disease plays in transforming dementia care. There are important benefits to diagnosing dementia as early as possible and early diagnosis is key to living well with the condition. It means that GPs can work together with patients from an early stage to help plan their care and start treatment to slow down the progression of the disease. This can help to lower the risk of dementia-related accidents and complications, reducing both the probability that a patient will need to go into residential care as well as the overall cost of dementia to the health service. Despite this, only between thirty and forty percent of those with dementia are diagnosed, with huge variations in diagnosis rates not just across the UK but within counties themselves. In Medway, for example, 44% of those with dementia are diagnosed compared to just 38% in West Kent. Additionally, only five to ten percent of diagnoses are made at an early stage of dementia, meaning that many of the benefits of its early identification are lost. Some of the evidence that the Group heard suggests that a huge barrier to people coming forward for assessment is that stigma associated with dementia and it is essential that the media plays a role in helping to change the perception of those with the condition. The image of people with dementia on television is one of invalidity and ineptitude while it is often the case that a patient diagnosed early enough can live independently and with a high quality of life for many years. As with many medical conditions in the past, changing the image of dementia in the media to show it in a more realistic light is essential in getting people to visit their GP if they have concerns. It is also therefore essential that clinicians are appropriately trained in recognising the symptoms of dementia and knowing which services are available to refer patients to. Amazingly, a quarter of GPs say that they do not receive enough training on dementia and it is therefore unsurprising that so many people with dementia slip through the net and get misdiagnosed with other conditions such as depression. However, we cannot just rely on patients going to see the GP to get diagnosed because they are concerned about symptoms; professionals across a range of fields must work to actively recognise symptoms of dementia when interacting with older people. One of the doctors giving evidence to the Group pointed out that if a patient went into a hospital for an unrelated medical condition, it would be inconceivable for health care professional to notice potential symptoms of cancer and not follow it up, but that is not the case if they spot some early symptoms of dementia. It is only through this kind of proactive approach that we will significantly increase the rate of diagnosis. While I look forward to the Group’s publication of the report in the summer, it is clear that we must take action to raise awareness about how important early diagnosis is and remove the stigma that stops people going for assessments while ensuring that all our healthcare professionals are properly trained to spot the early signs of dementia. The Prime Minister’s challenge to tackle dementia and improve both diagnoses and care for the condition is extremely welcome and, I hope, represents the turning point in the fight to end the unsustainable dementia status quo. There are many groups and charities in Kent which can provide support for those with dementia and their carers. For more information, contact my office on 020 7219 2828. On Thursday, I attended the Summit to Combat Loneliness, organised by the Campaign to End Loneliness and the Department for Health. The event brought together those from the business and charity sectors with doctors, academics, Ministers and those from local government to discuss tackling the problem of loneliness in older people. Apart from being tragically sad, socially isolated older people are more likely to suffer from associated health conditions such as stroke, hypertension, dementia and depression with the associated financial costs those conditions bring alongside the tragic human cost. Shockingly, loneliness in older people is a greater health risk than lifelong smoking or obesity. They paint an even bleaker picture of the situation, the number of older people experiencing loneliness is much larger than might be imagined, with over one in ten older people feeling lonely always or often and heart-breaking, half citing television as their main form communication. With such high levels of social isolation and such devastating consequences, it is clear that action must be taken to end this tragedy. Despite the prevalence of the problem, there are many wonderful charities and services which provide help for those who find themselves socially isolated, such as the WRVS in Medway and other organisations across Kent and the UK such as the Good Neighbour's Scheme. These charities and others provide an essential range of services which can act as a lifeline for older people, ranging from individual befriending services - which see volunteers go and older people regularly - to organised events such as coffee mornings, dinner and hobby clubs for older people to interact with others. 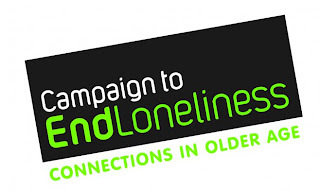 While these fantastic organisations exist, the challenge in tackling loneliness is to ensure that those older people who are socially isolated are identified and then connected with the schemes which can help them. As those older people suffering from loneliness are, by definition, isolated socially, it is essential that those who do have contact with them are able to recognise the signs of loneliness. In Merseyside, the Fire Service use regular smoke detector tests to "check up" on older people and identify those who are isolated. This is something which all manner of service providers can do, be they doctors, social workers or the police. It is then essential that these services know what organisations are available to help in order to connect them with the older person and, this role has been performed well by independent sector third parties, such as the Good Neighbours Scheme in parts of Kent. Before Christmas, I tabled an adjournment debate on the fight against loneliness in the House of Commons and managed to highlight some of the fantastic work done by the Campaign to End Loneliness and the countless charities which provide a lifeline to socially isolated older people. Tackling this issue will not only help thousands of older people in communities across the country but will help to save on the massive cost of loneliness for local authorities at a time of squeezed budgets. It is therefore essential that policymakers raise the issue of social isolation to ensure that all communities are able to connect older people with those that can help them. Of course, individuals have a role to play as well and in my debate in the House of Commons, I mentioned the paradox that as we have become more socially connected through technology, many of those in our communities have become lonelier. Alongside the work of local authorities and charities therefore, perhaps we should all take a moment to think of the difference that a few minutes of our time popping in to see that older neighbour or relative could have on their lives. My speech in the House of Commons is available here.